These parties are so much fun, your kids won't even realize they are learning something! Choose from one of our favorite options or ask about having us tailor a party to your own theme! We bring the party to you and take the mess out with us! Entertaining, educational and interactive presentations with an average of 5 hands-on activities per party and one take-home project. Get messy in our most popular party! Create magic mud and fizzing eruptions, learn how to stack liquids and make polymer putty to take home! Let us bring our museum-quality fossil display and show you some of our favorite local discoveries! See what it's like to be a paleontologist by creating your very own mold and cast of a real shark tooth, dinosaur bone or ammonite! We bring black lights and all sorts of fantastic glowing substances for kids to investigate. Create glowing potions, eruptions and glow-in-the-dark polymer putty to take home! Meet all of our resident amphibians! Local frogs, salamanders, toads and newts will be brought for some fascinating hands-on discovery. Kids will also get to make "frog slime" to take home! Get a hands-on and up-close look at some of our favorite local sea creatures! We'll bring our travel tanks full of sea stars, anemones, crabs and nudibranchs and teach you how to find and identify local marine life! Everyone will get to make an ocean-themed bracelet or necklace as well! 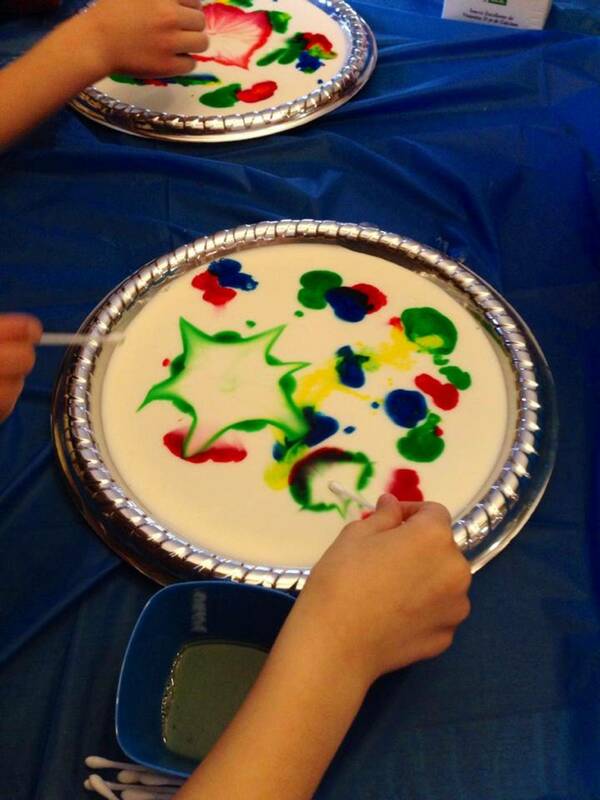 We'll provide a wide variety of art mediums for kids to imagine and create all sorts of fantastic things! Clay, modeling dough, molds, paint, canvas, pastels, crafting materials and more will allow children to make their ideas come to life. Each participant will create one main instructor-led project to take home and many of their own creations too! An outdoor party packed with colorful activities! Kids will get to create magical color changing liquids with simple chemical reactions, tie-dye T-shirts, and see an erupting soda fountain! Email octopuslearning@hotmail.com to book your party! Available Saturdays and Sundays. We suggest booking at least 2 weeks in advance. Payment required at the time of booking, please contact us for availability prior to making payment. Includes all supplies for activities and take-home projects for the children. Parties presented in your home are approximately one hour long (with an additional 10-20 minutes of setup and tear down) and generally require only a large table and enough seating for the kids. Our "Glow-in-the-Dark" party will also require a darkened room. Parties presented at Octopus Learning are two hours long, with a one-hour presentation by us and one hour use of our classroom for cake, presents, games or whatever you choose. Two adults must be present for the duration of the party.